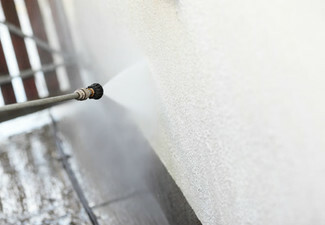 Don't neglect the outside of your home any longer, get a full exterior clean that even your mother-in-law can't fault. 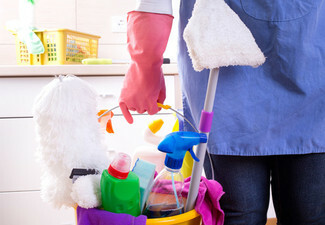 Providing an effective and convenient mobile service, SpecklessCorp will deliver a professional cleaning service right to your home so you don't have to stumble your way through the chore. 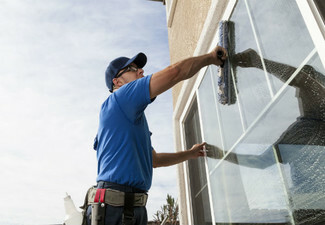 With the customers best interests at heart, this family-run business prides themselves on delivering not only a speckless clean but an impeccable service to all. 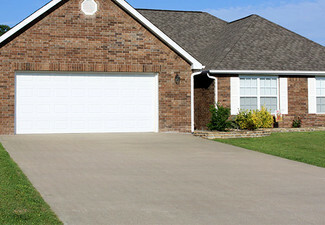 SpecklessCorp is an ever-evolving company, meaning their services are backed by the latest and greatest technology and techniques. 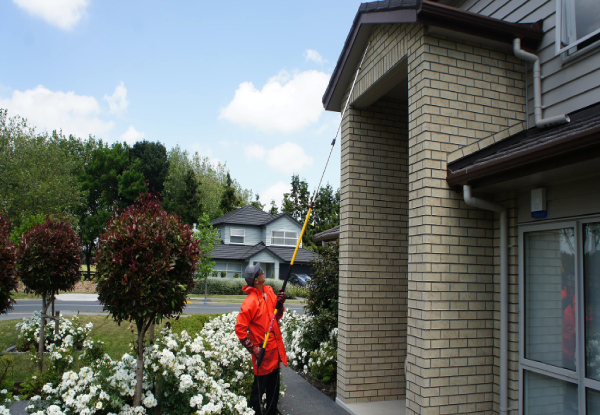 Grab a full exterior house wash including exterior window clean, gutter clean, roof treatment and outside spider control from SpecklessCorp. 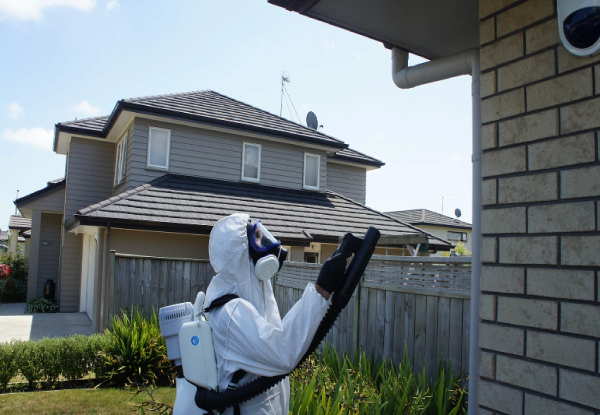 SpecklessCorp is a family run business providing top quality cleaning services to the wider Auckland region. 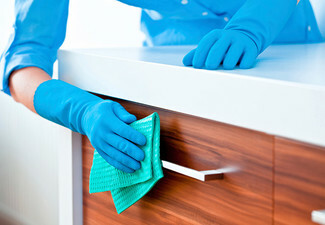 Their passion and comradery create a point of difference that is not only shown in the high quality of their cleaning, but the overall service they show each client. 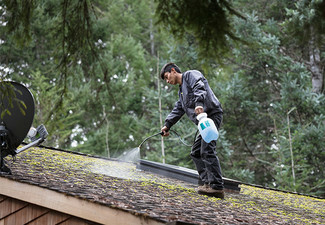 So give the friendly team a call, and experience the SpecklessCrop difference for yourself. Bookings essential. Subject to availability. Valid for the specific option stated at the top of the coupon only. Must be used in one visit, at one property only. Valid for the option stipulated on the coupon. 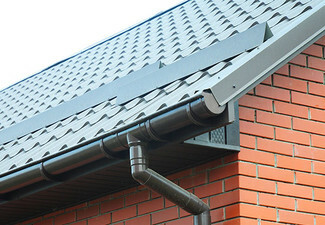 Gutter cleaning valid for up to 75 linear meters of gutter only. Service area is 20km from Britomart Train Station, Auckland CBD, Auckland. Additional travel outside of this area will incur an additional charge of $2 per km, payable direct to the merchant. 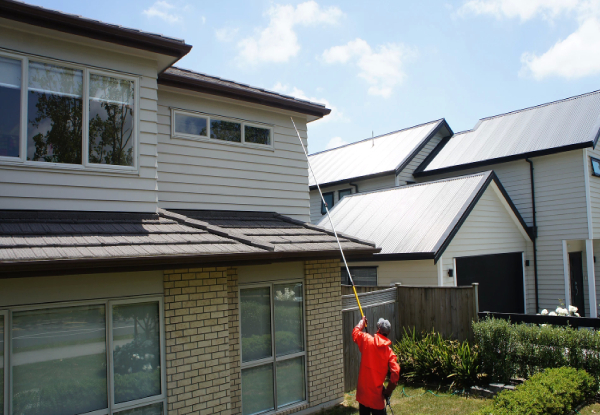 For house wash: if the surface is uneven, the customer will have to contact the merchant before to ensure that they bring proper equipment. 24-hour cancellation policy applies or coupon is void. No refunds unless required by law. No cashback. Not to be used with any other offer.